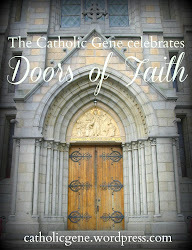 As early as 1827, its parishioners were meeting in each other's homes. By 1838, they had moved into their first real church structure - a log cabin, and then on to building a conventional church. This structure would serve the parish well, but would last only fifty-three years, when it was torn down to make room for the larger limestone exterior Church of St. Patrick that still stands today. I wrote about the history of the parish previously within my article Coal region Catholics: The story of Pottsville's Church of St. Patrick. There was no shortage of photographs of the current church for me to choose from, and I decided to use some that I had taken myself during my visit to Pottsville the previous year. I was particularly interested, however, to see the church building that had served the parish from 1838 to 1891, since my family had arrived in the area in 1840 and so many of the rites of passage of those early ancestors and their families and friends had taken place in that church. 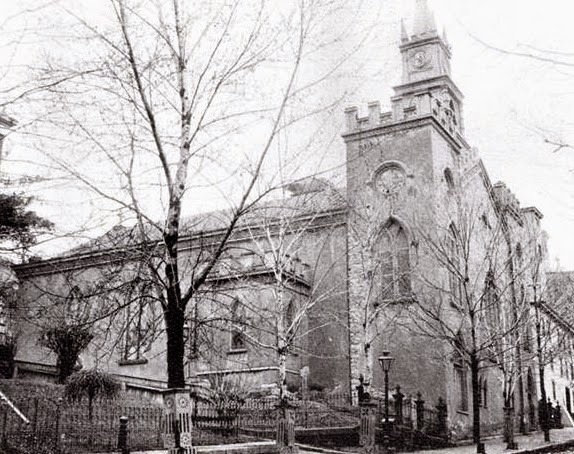 I was able to find and include a photo of the 1838 church's exterior within my article (see above), but what I really wanted was to see the inside - the interior of the church in which my great-great-great-grandparents had stood when they baptized their children, the place that was the center of family worship - where they prayed at Mass each Sunday, where they said their final goodbyes at Requiem Masses prior to making the walk up the hill to St. Patrick's Cemetery to bury loved ones who had passed. 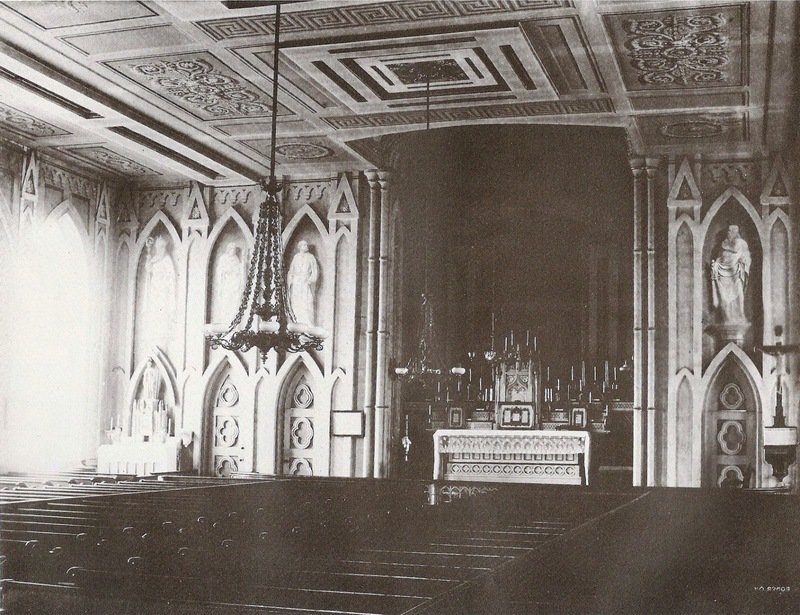 Below is the interior of the Church of St. Patrick as it looked sometime during the 1880s. It is a beautiful church and the parishioners must have been sad to see it torn down, despite having a new, larger and also beautiful church built on its site. It was before this altar in the second Church of St. Patrick that my great-great-grandparents Margaret Foley and William Cowhey were married in 1878. It was a second marriage for William, age 43 (who had lost his wife Catherine to consumption, and brought five children into his second marriage with Margaret). The young bride, at age 21, was embarking on a life as a mother to William's first five children and later ten more of their own. 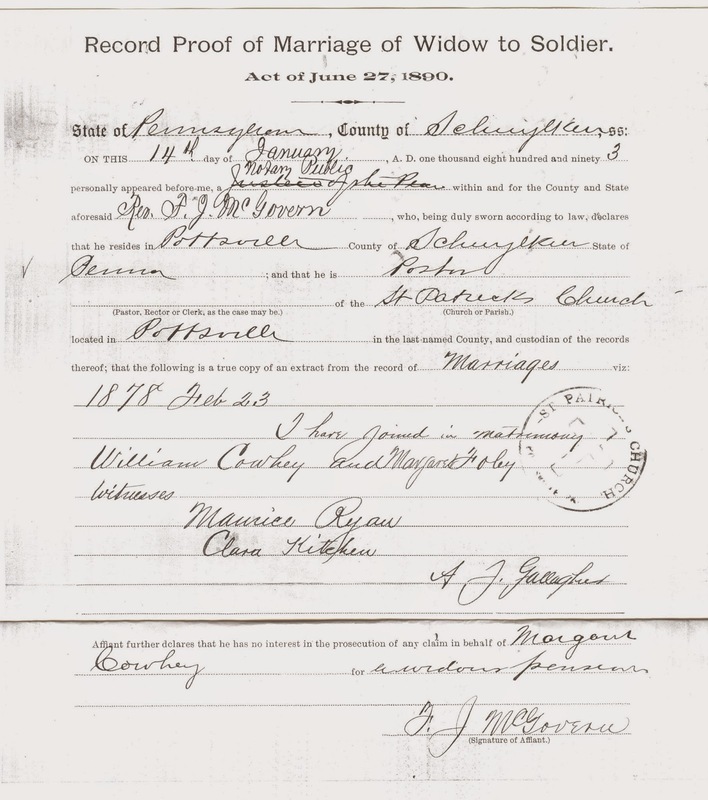 I was very happy to find the details of William and Margaret's marriage within William's Civil War pension file. Among the many pages within this file (circa 1890s), was a Record Proof of Marriage of Widow to Soldier. Signed by then pastor Rev. F. J. McGovern, it attested to the extract from the registry of St. Patrick's Church indicating that William and Margaret had been married by Rev. A.J. Gallagher on February 23, 1878, witnesses Maurice Ryan and Clara Kitchen. This is a true family treasure, particularly since the church itself has been unable to provide access to the listing of this couple's marriage within their registry. Below is the page documenting that day 137 years ago when my great-great-grandparents were joined in marriage at the altar of the second Church of St. Patrick in Pottsville. 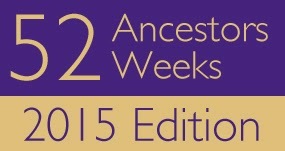 On this date in 1862: "I, William Cowhey, do solemnly swear..."
This article is included as part of the 52 Ancestors in 52 Weeks Challenge organized by Amy Johnson Crow. 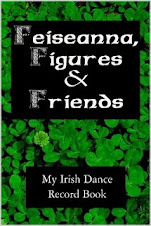 The theme for Week 11, in which this article falls, is "Luck of the Irish". [Note: Hat tip to Donna Pointkouski of What's Past is Prologue for the summary format I've used at the end of this article.] Find more stories of my family's ancestral churches visit my Churches of My Ancestors Pinterest board. It is wonderful that you have those photos of the church. Our churches are very important to us; a place where we celebrate our Sacraments, holidays and many special moments of our lives. I grew up attending and was married in a tiny country Catholic church & it is still special to me. Thanks for your comment, Colleen. You are ao right - theae places that were so important to our ancestors hold a special place in our hearts!